$158 Approx Get Latest Price! My regular readers know that I am a fan of ravelli tripods and because of very valid reasons. 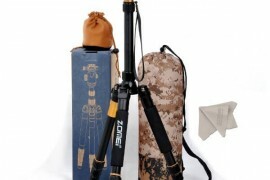 They are inexpensive and their quality is far more satisfactory than other tripods at their price range. 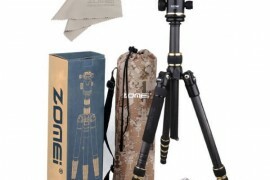 For around 150 bucks you just can’t go wrong with this amazing tripod. The legs are sturdy and worth the price alone and the head does the job for beginners. 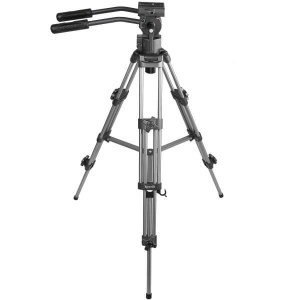 But hey you can replace the head and get something more fluid mounted up on the Ravelli AVTP 75mm Video Camera Tripod and you will a professional grade sturdy video tripod well within your budget. 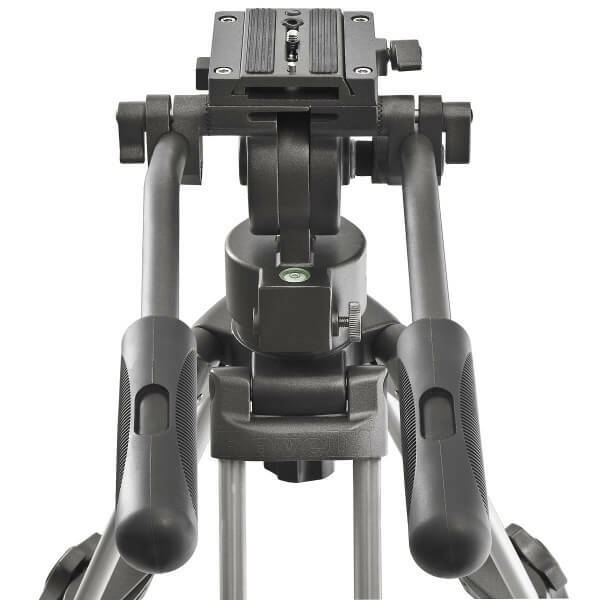 Don’t confuse this tripod with the even cheaper Ravelli AVT one, the head on the AVTP is far more fluid and reliable. 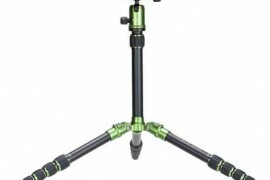 Tripod Legs : Ravelli AVTP has got really firm 3-Segment Interlocking Crutch Type Legs and they did the job well in my tests. They are stable, firm and looks like made from good quality materials. As they say a tripod is all about its legs and in my opinion Ravelli AVTP is worthy of it’s title. The locking knobs are twist and turn type made up of fine grade plastic. 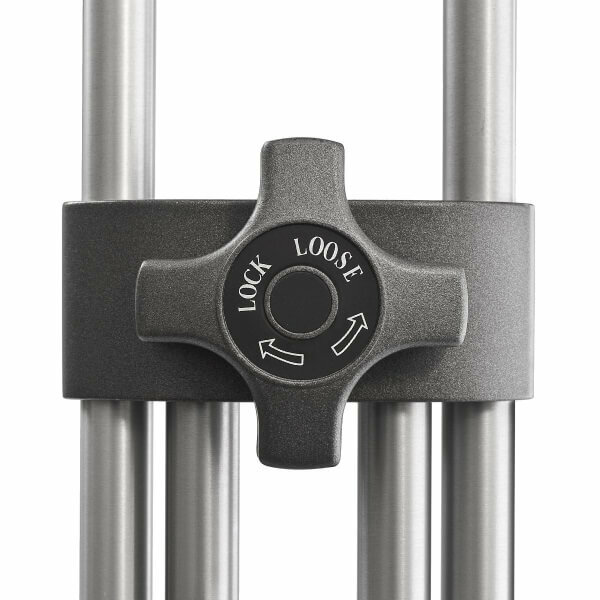 Locking-unlocking action is smooth and quick saving a little of your time every time you have to setup this tripod. Supported Weight : It supports Video Cameras/SLRs up to 27 LBS or 12 kg which if you ask me is more than a lot. In my review I was barely able to load the Ravelli AVTP a little over 15 pounds that too with a big off market lens, a video light and an extra battery bank attached to my video camera. This is reassuring to know that most of the times the mounted weight is going to be way with in the limits of Ravelli AVTP Professional 75mm Video Camera Tripod. Weight of the Tripod itself : Ravelli weighs something around 10 LBS or 4.5 Kg with the supplied head attached to it and that is fairly light for a metal video tripod. 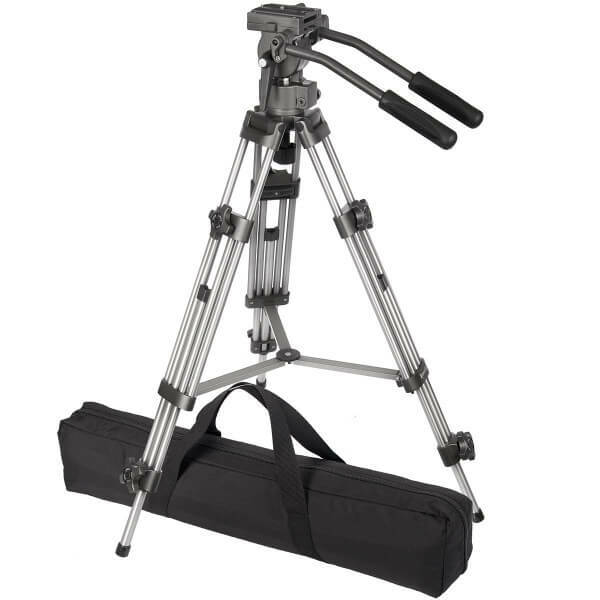 Most other tripods in this category are as heavy as Ravelli AVTP is, making the filming business a burden on you back. And if you happen to buy a better mounting head or a slider you can easily expect the weight to go almost double with this tripod. In any case light weight is not something you should be after if you want rock solid, stable and smooth shots. Head : Dual Handled Head with Continuous 360 degree Drag Fluid Movement on both Pan and Tilt Axis is supplied in the package. The head is far from fluid right out of the box and needs a considerable amount of loosening up before you can use it for a smooth pan. 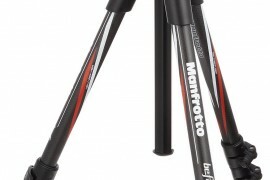 That being said you must know that though the head is perfect for beginners, I suggest you should go out and look for something like a Manfrotto 502 or Manfrotto XPRO video head for any kind of serious professional work. Mounting Bowl : Universal 75 mm Mounting Bowl. Maximum Height : Maximum Operating Height on Ravelli AVTP is 54.5 inches and is fairly sufficient even for a tall guy like me. 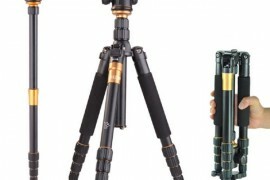 Steady and solid composition of this tripod also keeps it significantly stable even fully extended so that you can use it at its full potential in every aspect. Minimum height when packed : Ravelli AVTP is just 88 cm or almost 3 feet when collapsed. So overall it can easily squeeze itself without leaving any considerable amount of footprint on your luggage. The legs alone on Ravelli AVTP are worth the price! 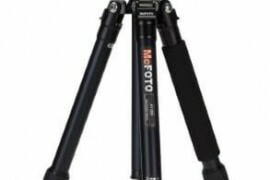 This tripod is heavy and can supports bulkier cameras with out any problem. Pans are nice and smooth after little adjustments. Looks are professional and impressive. x2 sliding plates for better compatibility is included in the package. Out of the box panning and tilting is a little stiff. 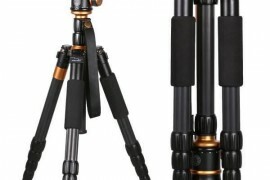 So would I recommend the Ravelli AVTP Professional 75 mm Video Camera Tripod ? 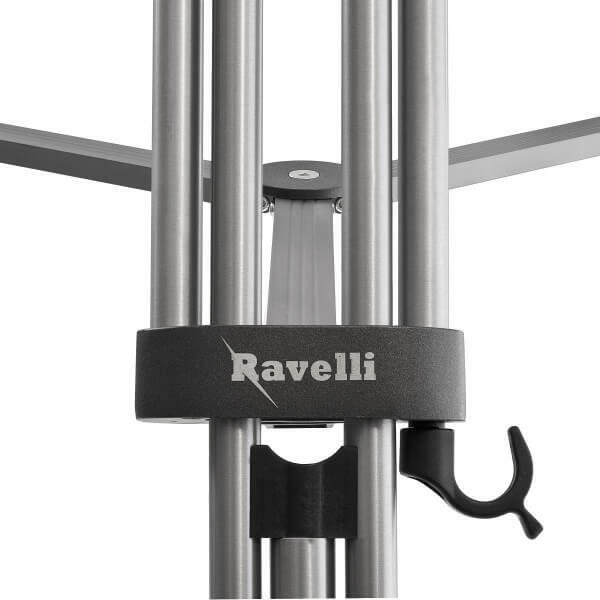 Hell yeah, Ravelli is offering a professional grade quality tripod at a very appealing price tag and I don’t see a single reason why wouldn’t any one pick the Ravelli AVTP over the other expensive competition in the market. Also Ravelli is extremely responsive when it comes to the customer support and backing their products. Stories of people getting prompt replacement are all over the internet. 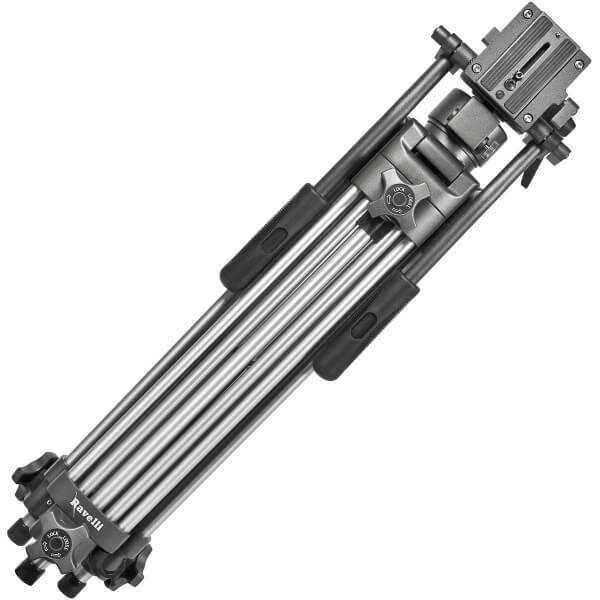 So all in all a great tripod furnished with excellent craftsmanship and backed by a responsible manufacturer such as the Ravelli AVTP 75 mm is something that must be in the arsenal of a video/film maker.